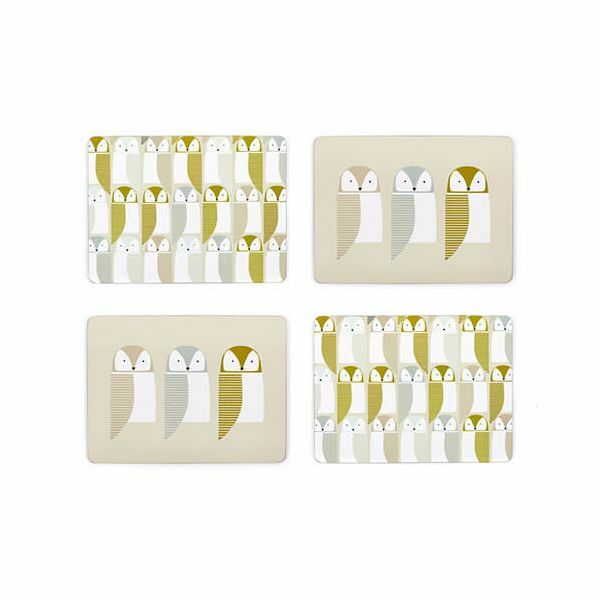 This set of 4 placemats feature Barnie the Owl in a range of natural and complementary colours. The melamine and cork backed placemats are ideal for placing hot plates and pans on, protecting your surface from heat and moisture. The placemats add a splash of style to your table setting and compliment other mugs, bowls and cups in this collection.